Windows Phone 8 lacked a file manager and so did Windows Phone 8.1 till today. 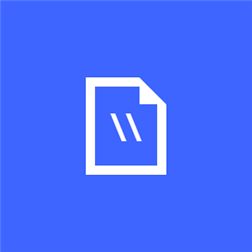 Yeah, I'm talking about the official file manager for WP from Microsoft. The Redmond giant said that File manager was slated for release on late May in Build 2014 and they have delivered it in the right time. 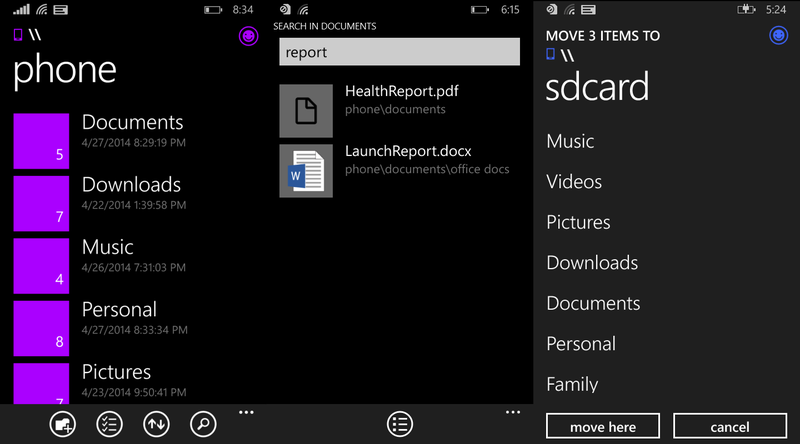 Navigate through your files with ease in Windows Phone 8.1 with Files ! The new file manager is called Files and available as a separate download from Windows Phone Store but there is a restriction, only Windows Phone 8.1 users are allowed to download which means that WP 7.5 users won't be get hold of Microsoft's latest app offering and as the time passes, most of the people will switch from WP 8 to 8.1 as it is really worthy upgrade. Technically, the app is pretty good and has most of the features as you would expect from a File Manager. It's really small, just 1 MB. Thumbs up Microsoft ! Finally, it's all falling together to make Windows Phone a real big threat for Android and iOS,lately both of them have not been getting some radical updates as Windows Phone. WP used this time to cope with them and it's now sometimes way better than both of them. Want an example, go type Cortana in YouTube , I bet you will love it.Well let's not go deeper ! There is one more reason and one more most wanted feature in Windows Phone. Happy days for WP users it seems . Now I won't be surprised to see a touch first File Manager app in Windows 8.1 U2 or Windows 9. 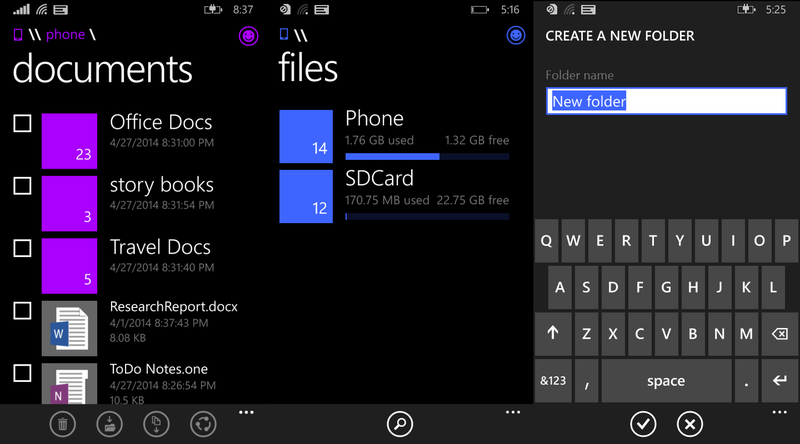 Files is a free app for managing files on your Windows Phone. WhatsApp is back to Windows Phone Store ! WhatsApp was pulled from Windows Phone Store intentionally by it's publisher,WhatsApp Inc on May 18 which caused a lot of cries from WP users as WhatsApp is one of the most used chatting app. They said that there were a lot of problems in the WP version and they needed to fix all those problems and give users a great experience. "Unfortunately due to technical issues, we have chosen to un-publish WhatsApp Messenger on the Windows Phone platform. 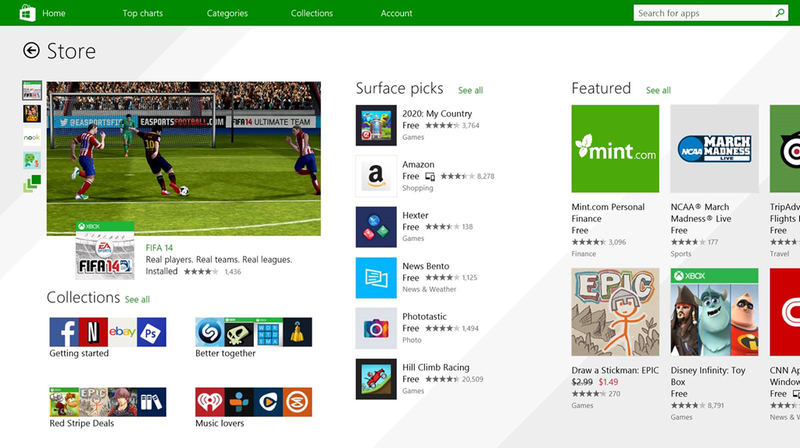 We are working closely with Microsoft to resolve the issues and hope to return to the store shortly. We apologize to our users for the temporary inconvenience." Unfortunately, it took more time than they thought, 12 full days is what they did with the app under their roof. Microsoft also had joined hands to help to them. Now it's back to the Windows Phone Store and any user running WP 7.5 to WP 8.1 can download and install this app. The new version fixes most of the problems and bugs that was in the previous version. It adds some new features too.. Here is the full change log as published in the Store. 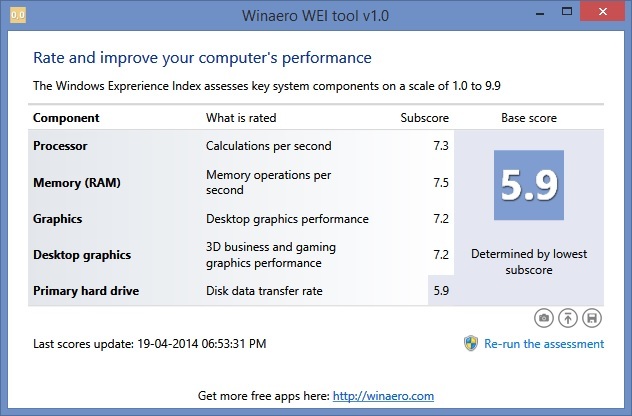 As most of you know that Windows 8.1 removed the ability to use Windows Experience Index(WEI) in System properties. WEI was introduced in 2006 with Windows Vista to assess the performance of your computer. It rates your computer's important components such as Processor,Graphics,RAM,Primary Hard disk and Desktop graphics in a grade scale. Microsoft had intentions to make it an important part of Windows. They wanted applications to come with a label with a minimum/recommended WEI rating which would practically let users to know if the application would run fine in their computer. It's still a part of Windows 7 and even Windows 8 but not in Windows 8.1 as Microsoft removed it for some undisclosed reason. But not all the components of WEI was removed in Windows 8.1, they left the WEI engine intact but just removed the GUI in properties. This was a very helpful tool for some people so they wanted this feature back and that's why WinAero's developer built this tool which gives WEI the same old familiar GUI. Winaero WEI brings back all the features and has some additional goodies too. It lets you to take a screenshot or save it as a HTML page or even upload it in the internet to share. You can download this tool from here . It supports Windows 8.1 32-bit and 64-bit with or without Update 1. With Windows 8.1 update 1, Microsoft made it's operating system free for all devices under 9 inches and the system requirements were reduced to 1GB RAM and 16GB of storage. Even a new installation mode was introduced which would let you install Windows in low-end devices with less storage. The uptake of Windows tablets are not going in the best way as Microsoft intended as the tablets which had larger screens still had to pay a good amount of money for Windows Licensing. And this is the reason why Windows 8.1 with Bing is here, it's considered to be the cheapest version of Windows. However, Microsoft is clever enough not to sell the OS to consumers but only to OEM's who produce low-end devices. Microsoft stated that it is important to work with it's partners to deliver Windows devices in a wide range of market. The Redmond giant said in the announcement "As we move forward, many of these lower cost devices will come with a new edition of Windows called Windows 8.1 with Bing. Windows 8.1 with Bing provides all the same great experiences that Windows 8.1 offers with the Windows 8.1 Update, and comes with Bing as the default search engine within Internet Explorer. And of course customers will be able to change that setting through the Internet Explorer menu, providing them with control over search engine settings." Well it does not do much bad to OEM's as it is still possible to change the preferences of Windows to the consumers choice. Bing will be default search engine in internet explorer only that means if you use some other browsers like Chrome,Firefox and Opera, you won't find any difference in between Windows 8.1 and Windows 8.1 with Bing. It's good that Microsoft did not lock the Bing with Windows 8.1 with Bing. Surface Pro 3 is out : My Opinions and more! The all new Surface Pro 3 has full version of Windows 8.1 pro ! It's real quick time ! Microsoft has managed to crack another beauty in the form of Surface Pro 3. We saw the launch of Surface 2 and Surface 2 Pro in October 2013 with Windows 8.1, now it's the time for a ultra-portable and high performance Surface devices from the tech giant. Straight off, these devices are made to compete with the rivals such MacBook Pro .Well it does make feel other tablets/laptops old. With an unmatched performance delivered with 4th generation Intel processors (i3/i5/i7) and gorgeous 12 inch screen with an immersive display resolution of 2160 x 1440. It's even lighter than it's older generation devices, weighing around 800 grams. Add some more sweetness to this, it runs Windows 8.1 pro which means you can run all your traditional desktop apps with ease. The kickstand now offers more multiple positions which lets you enjoy a complete tablet/laptop experience, be it on your lap or table. It does have detachable keyboard which is attached to the device by a magnet !. The Windows button has been moved to the left of the device which makes accessing Start screen more faster in tablet mode. Nokia and Microsoft Deal explained ! 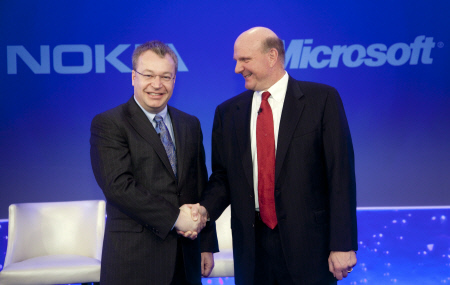 Everyone knows that Microsoft has bought Nokia. The clarity in the process isn't quite easy to understand. Most of the people around the world are confused and don't know where and who to ask. I think I have the solution for all your confusions, thanks to my friend Nawzil who posted about the Microsoft and Nokia deal in a very easy to understand manner in facebook. Now I think most of you are pretty clear how Microsoft and Nokia made the biggest deal of this decade. It's going to change how people look at Microsoft. The tech giant has proved to be a great software company, thanks to Windows, Office etc... The latest creation from Microsoft is the much awaited Windows Phone 8.1. All these products have a great reputation and offer the best-class experiences out of the box. But in mobile sector, Microsoft is yet to kick in with full force. They needed to manufacture quality hardware which would run it's software to it's fullest potential. Nokia was the perfect company they were looking for, it has been supporting Microsoft's Windows Phone since version 7 . Now Microsoft has made sure that Nokia's hardware and Microsoft's innovation go hand in hand for a more brighter future for Microsoft's mobile sector. Microsoft is a Devices and Services company ! The transition started last year with Steve Ballmer as the head of the company. Well, here is something important ! 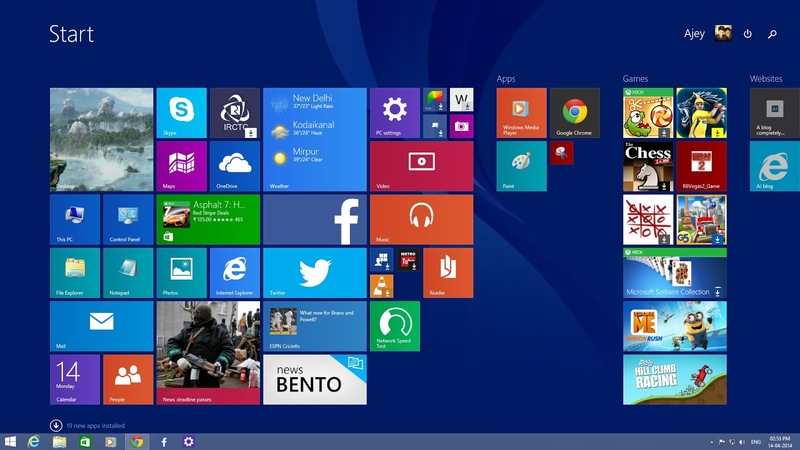 Microsoft working on Windows 8.1 update 2 and Windows 9 ! It's no surprise that Microsoft has a good set of features in the next version of Windows. 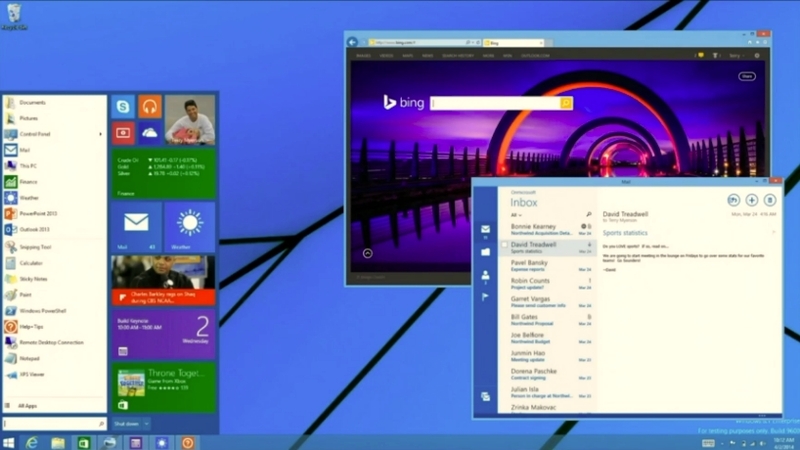 The Start menu and the ability to run Modern UI apps in the desktop shown in BUILD 2014 forms the main theme of next Windows update for Windows 8. Uptake of Windows 8 was slow and Microsoft had to bring back some features which was considered as essential for non-touch users so they packed Windows 8.1 with lot of goodies and then they looked at consumer feedback and found that they needed to bring some more features, released Windows 8.1 update. That's how it has been till now and Microsoft is determined to deliver the best experience across multiple devices. The same experience doesn't fit in every device so they have decided to bring the familiar features for desktop users such as start menu which means that now Windows understands the type of device you have and automatically optimizes itself to give the most appropriate experience ! . That's going to be possible with Windows 8.1 update 2 though Windows 8.1 update brought the major changes with this concept in mind. It is expected to launch in August but there is no specific date, I guess it would happen on the patch Tuesday of August which lies August 12. A report published by Bavo Luysterborg on myce.com and citing a document published on the web by Faikee, a Microsoft leaker who has a good track on providing information on new projects developed by the Redmond-based company, confirms the existence of Windows 9 at least as a developing product in Microsoft's lineup.But the features of Windows 9 are unknown, Cortana may make her way into her older cousin, Windows and there will be Windows 365 which will be the first completely cloud based version of Windows. Microsoft as usual did not say anything about this . More info about Windows 9 will make it's way later this year ! avast! CEO says antivirus is not dead ! Symantec’s statement seems to relate to the enterprise, and not the consumer and small business. Enterprises have traditionally relied on many layers of defense and antivirus is one of those layers. Antivirus though is a broad-spectrum defense and as such is often complemented by other products, such as those protecting against targeted attacks that enterprises worry about. In the consumer and SMB space, the situation is quite different: customers typically do not have multiple layers of protection. They have one, their AV product. These products though are not the simple AV products of past years. The true statement in the story is that consumer security is so much broader than AV. AV is used as a generic name as it is what customers know. They instead incorporate firewalls, intrusion detection, heuristics, virtualization, sandboxes, and many other layers of protection and not just antivirus. Therefore, we believe AV is not dead in the consumer space. It is far from dead there. That it is true, today's antivirus products bring more than what the basic antivirus gives, current generation antivirus products include multiple layers to protect users such as Firewall,Anti-Spam, intrusion detection, heuristics, virtualization, sandboxes, and many other technologies. For an normal consumer, that's more than enough because he is not going to targeted by the top class hackers out there. May be the enterprise sector needs some new techniques to keep away hackers at the bay and protect the data. I think that is more than enough to justify antivirus are not dead. Keep your antivirus software updated and make sure that your license is active if not renew it immediately or consider switching to free antivirus solution such as avast! free antivirus, AVG Free antivius , Avira free antivirus.... 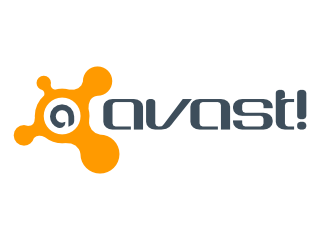 I personally recommend avast! free antivirus as it offers multiple layers of protection for free and it's pretty light too. He also said that Microsoft has developed a beautiful and versatile environment and they would love Google's apps in their platform. It's high up in there want list but it's not up to MS. Google should develop their apps for Windows Phone. Clearly, Google needs to port their apps to Windows Phone as it will not only reach more users but will also have cross compatibility with all the major platforms. As far as Cortana's concern, she gets a feedback site,cortana.uservoice.com where users can say what they would like to add to Cortana. 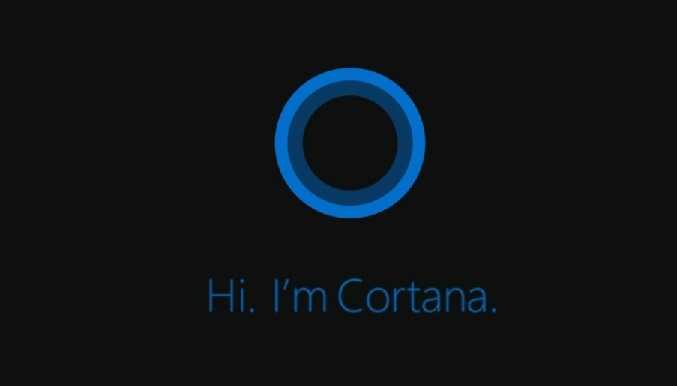 And also Cortana may also come to Windows soon. “Nothing specific to announce, but Cortana herself is always telling us she’s a fan of PCs herself.” That's good to hear ! With WP 8.1, the Redmond giant has made a lot of improvements to shorten the gap between iOS,Android and Windows Phone. A new author , New possibilities ! How we became friends is not a very long story, in fact thanks to Windows ! We met at the Windows 8 group in facebook and quickly became good friends. Well, you will know more about him as he writes. 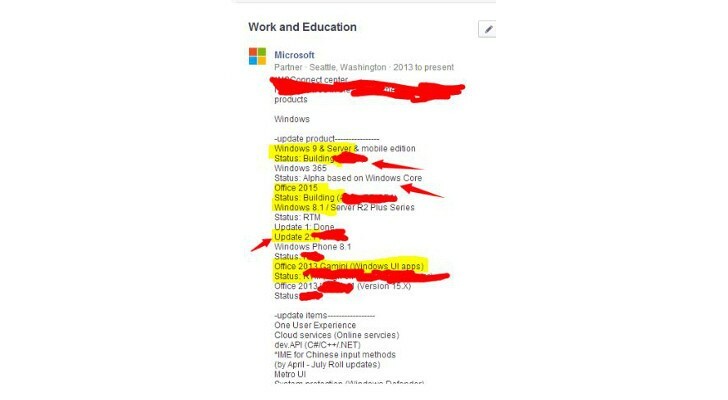 He has contact with Microsoft indirectly. 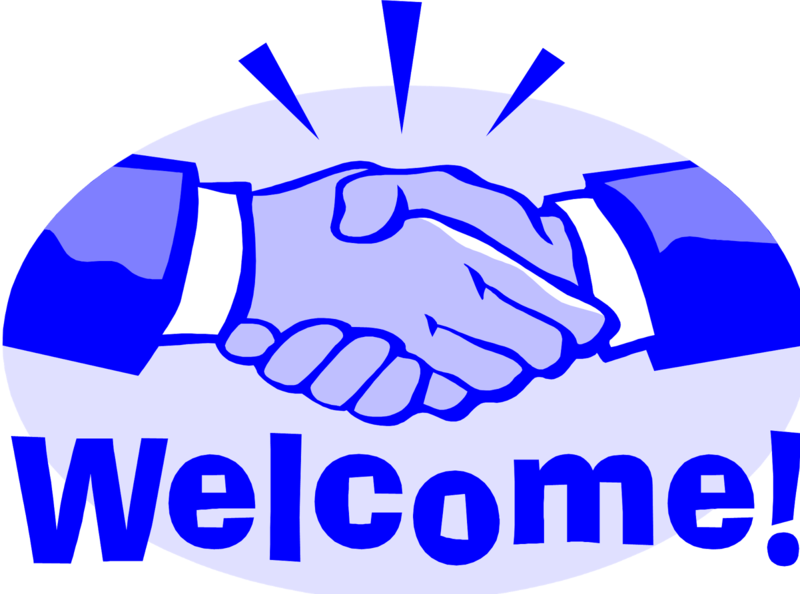 I think everyone will like Pawan and his style of writing .I'm really happy to write with you Pawan :) Welcome to Tech O Blog.